Two ballistic missiles fired by Houthi militias north of Bab al-Mandab were intercepted by Arab coalition forces on Sunday. 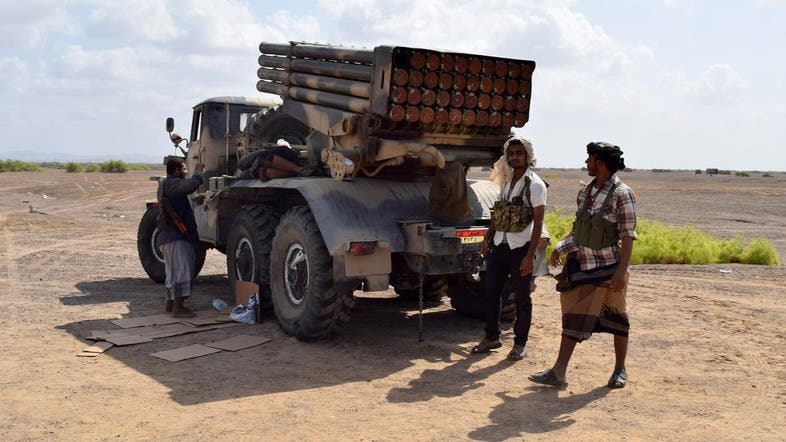 The operation comes as fierce clashes continue on three fronts surrounding the strategic area of Bab al-Mandab as coalition air strikes target Houthi camps and gatherings. Coalition air forces have also struck five targets on Sunday in the capital Sanaa, focusing on areas where Houthi militias have been gathering and recruiting. The military operations come as news of tensions are flaring between Yemen’s Houthi militias and their ally, ousted President Ali Abdullah Saleh. Both parties have attempted to share ministerial positions in what they named the “National Rescue Government,” despite it not being internationally recognized.